Let’s be clear this isn’t camera from the mighty japanese manufacturer Canon. 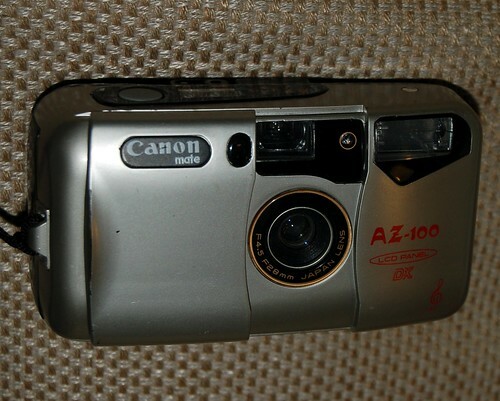 The AZ-100 is one in a long line of sound-a-likes under the Canon Mate moniker. As part of the Poundland Camera Challenge got this with a load of other cameras including a rather excellent Pentax Espio AF Zoom for 99p but was this the runt of the litter or was this fixed focus trashcam better than it sound.